My dog is NOT fat…and neither is my cat! Home » My dog is NOT fat…and neither is my cat! I hope that I live long enough to hear someone smarter & wiser than me explain, in a way that I can understand, why some people are so reluctant to listen to any hint or suggestion that their pet might be overweight. The data suggests that somewhere around 50% (likely more) of our pets are overweight or obese. Not a day goes by in our office that I don’t discuss a pet’s excessive weight with a client. Most of these pets are 10 to 15% above their ideal weight. In general, I consider a pet overweight when they are 10-15% over an ideal weight based on the pet’s height, breed, build, etc. Over 20% excessive weight, and I use the term obesity. 1. 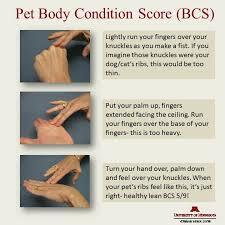 Many people, including many pet owners, are not very skilled at visually judging a pet’s weight. I’m the first to admit that I’m not always accurate when it comes to judging of pets weight from across the exam room or lobby, so I certainly don’t fault anyone for falsely guessing a pet’s weight. 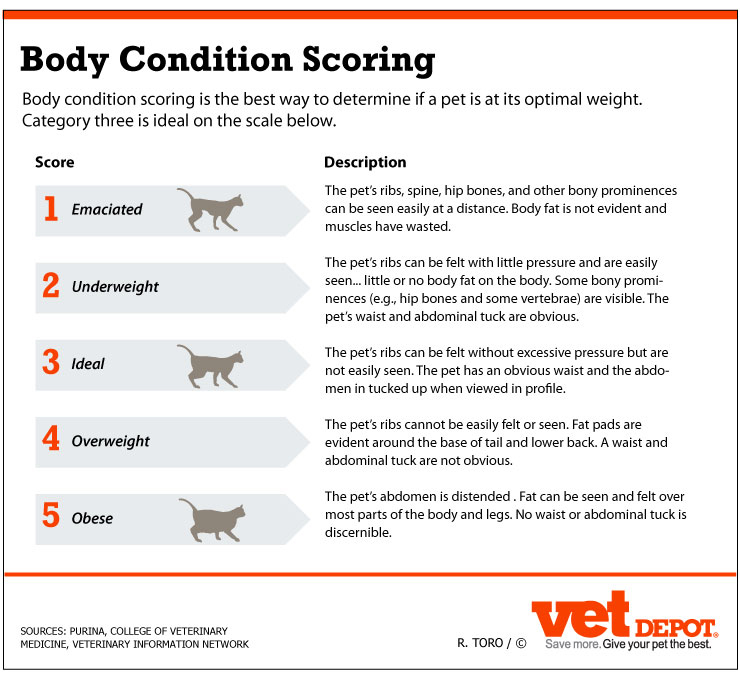 However, because of this inability to visually gauge a pet’s weight, many pet owners believe their pet to be a weight different than what they actually weigh (when placed on a scale). In other words, it’s an issue of false and dashed expectations. 2. 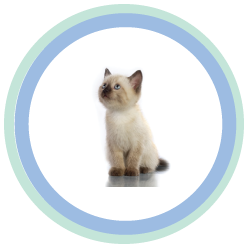 Many pet owners are genuinely affronted when someone, including a veterinarian (or perhaps especially a veterinarian), suggests that their pet is anything but as healthy as they envision. Unfortunately, as a doctor, it is my ethical obligation to examine and accurately report to the best of my ability the health status of any pet that I’m charged with caring for. Therefore, we (i.e. The pet owner and I) have to be honest and upfront about a pet’s weight or else we’re missing a genuine opportunity to improve the health of that pet and to avoid future difficulties and disease. 3. 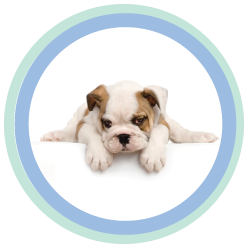 Lastly, many pet owners (and in some cases, maybe a number of veterinarians) are judging their pet’s weight “on a curve”. Sometimes I believe we get so used to seeing chubby cats or corpulent dogs, that we assume overweight is the new normal. The best way to avoid this trap is to utilize one of the body condition scoring systems shown below. If your veterinarian does not discuss your pet’s body condition with you at your next routine visit, ask him or her if they have an opinion about your pets weight or body condition. 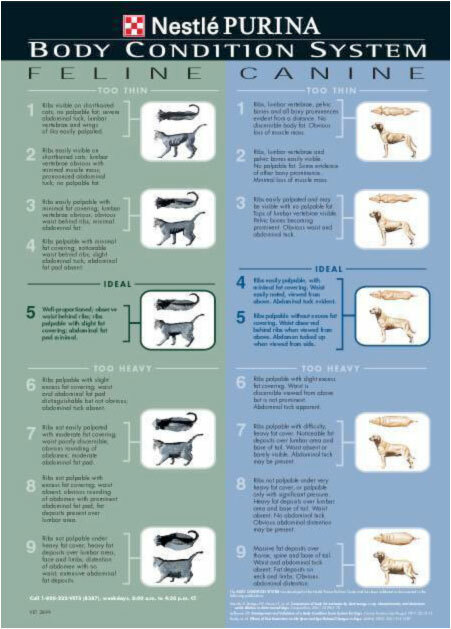 While these graphics are helpful for most pet owners, my favorite rubric for assessing your pets body condition at home is the knuckle test, as depicted in the following image. In a nutshell, your pet is too thin if it’s ribs (i.e. the side of its chest) feels like the top of your knuckles when you’re hand makes a fist; your pet is too heavy if it’s ribs feel like your knuckles when felt from the palm of your opened hand; and your pet is just right when its rib feel like the top of your knuckles when your hand is flat, palm down. We all need to be honest and open minded when discussing the weight of our furry friends. No one (neither pet nor pet owner) is well served if we beat around the bush with regard to pet obesity. It is a real problem, even an epidemic, and we need to openly confront the issue, devise methods and recommendations to minimize the risk of obesity in our pets, and educate ourselves on the best strategies for safely reducing a pet’s weight. So, if your veterinarian suggests (i.e. 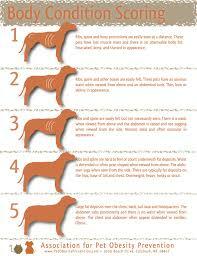 tells you) that your dog or cat is overweight, don’t become defensive and don’ shrug them off. Ask how they came to that conclusion, and then start making a plan with your veterinarian to get your pet’s weight down to a healthy range. It’ never too late and its never to early to deal with a pet’s obesity. Their health depends on us all taking the first step and broaching the subject, however uncomfortable it might be. Would you feed your child 2 cans of food a day and ignore him? How about let your child eat himself to death? It is so sad to see so many overweight dogs in the area. In my neighborhood of dozens of homes there are only a couple of us that walk our dogs daily–most just leave them alone in the house or yard all day. The dogs are miserably lonely, and aside from the stress of being caged all day they never get the chance to experience new smells and otherwise socialize. THIS is the main reason there are so many overweight pets. If you cannot walk your dog, then rescue a senior dog or one with health issues that cannot exercise. To make up for this neglect, I see many owners consoling their dogs with way too much food…perhaps like parents who stuff their kids with pizza and candy rather than sitting down to play a game or talk to them? People choose to get a pet–there is no excuse for not being a responsible owner and meeting the needs of your pet by exercising, caring for and feeding one. They now have treats with 5 calories each–if you like I are too weak to deny your dog treats these lo-cal options will prevent you from harming your dog’s health. The restore the sanity and calm to your life by getting out and walking your dog daily.